REUTERS/Maxim ShemetovRussian President Vladimir Putin (R) and German Chancellor Angela Merkel answer journalists’ questions during a joint news conference in Moscow’s Kremlin November 16, 2012. Over the past 14 years, German chancellor Angela Merkel and Russian President Vladimir Putin have shared an understanding. After all, Putin served as a KGB officer in Germany from 1985 to 1990. So they work together often — although not always smoothly. 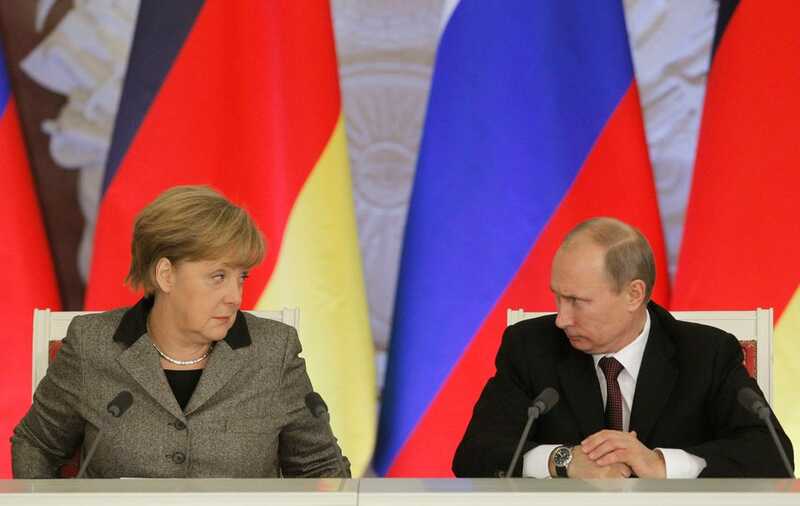 Recently, Merkel has come down hard on Putin’s ongoing aggression against Ukraine. And the profile shows how tensions between the two leaders have been brewing for several years. 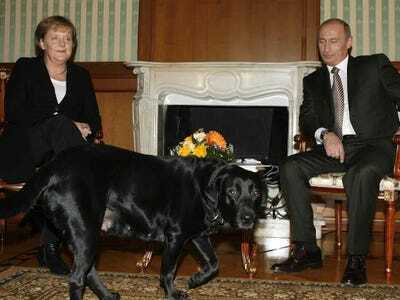 APIn 2007, Merkel met with Putin — and his dog Koni. The Kremlin has used animals to antagonize world leaders before. 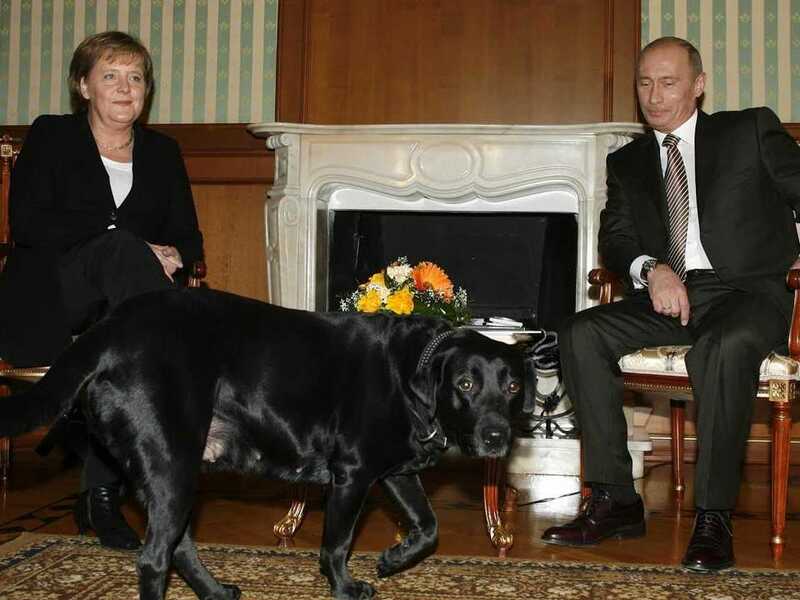 Putin once played the “my dog is bigger than your dog” game with then-president George Bush. The incident actually served as inspiration for one of Bush’s strange paintings. Even more recently, Russia’s deputy prime minister, Dmitry Rogozin, tweeted a picture of President Obama, holding a white poodle juxtaposed with Putin petting a leopard. “We have different values and allies,” the tweet read. No wonder Merkel, considered the most powerful woman in the world, wanted to cut him down to size.